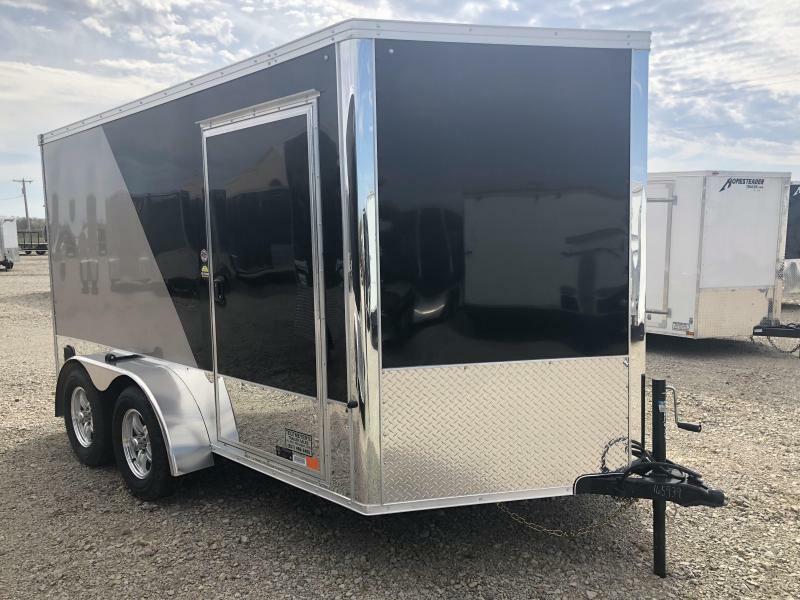 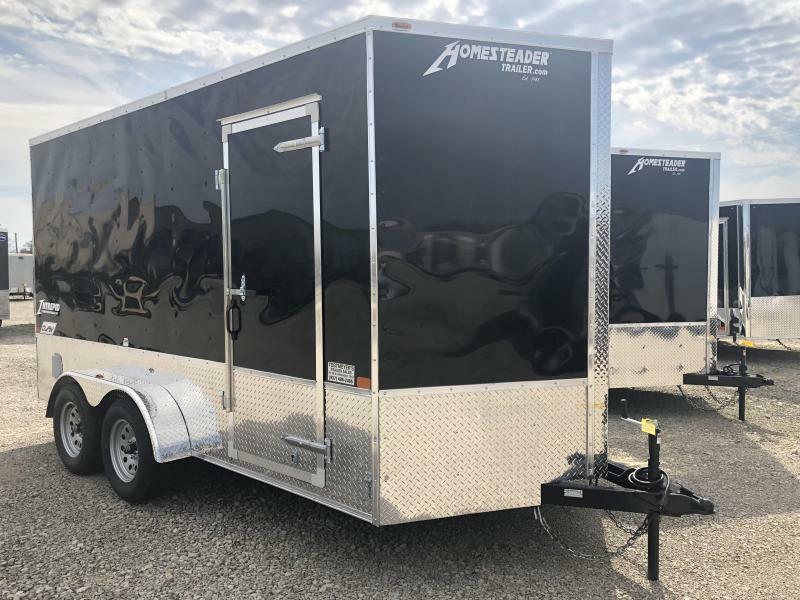 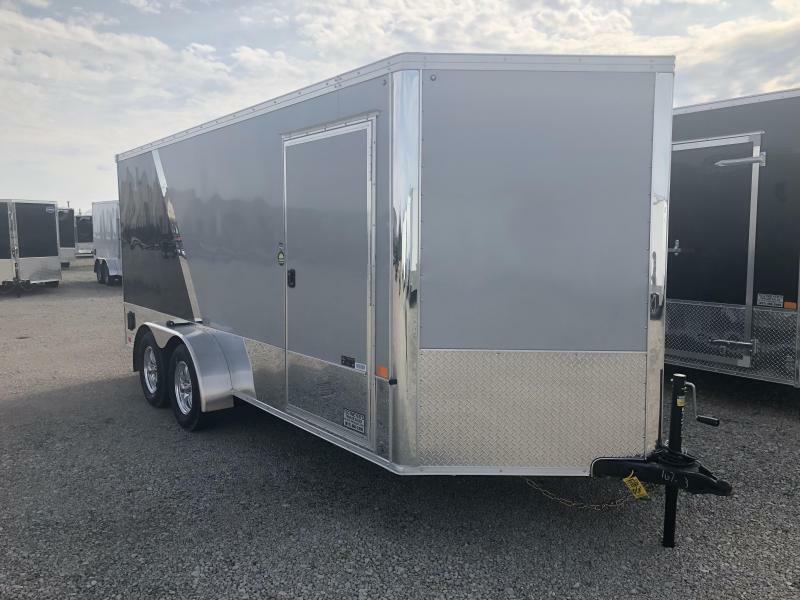 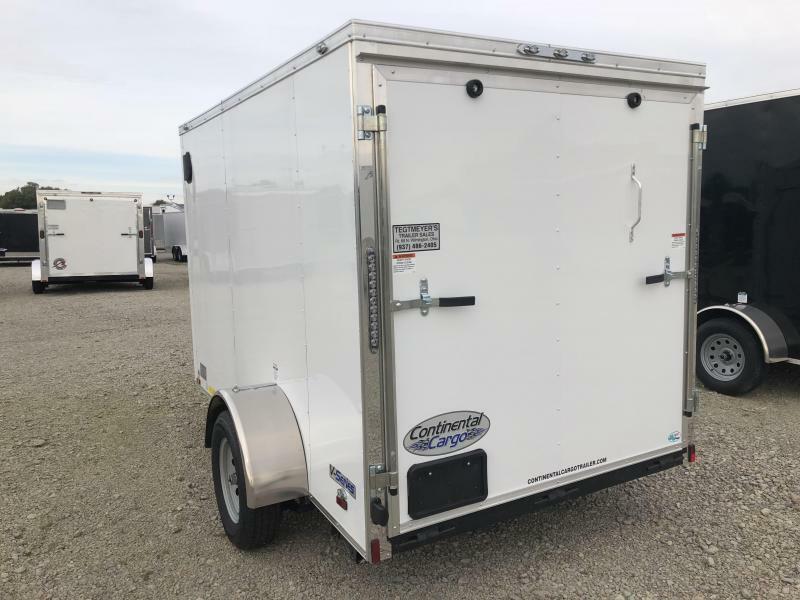 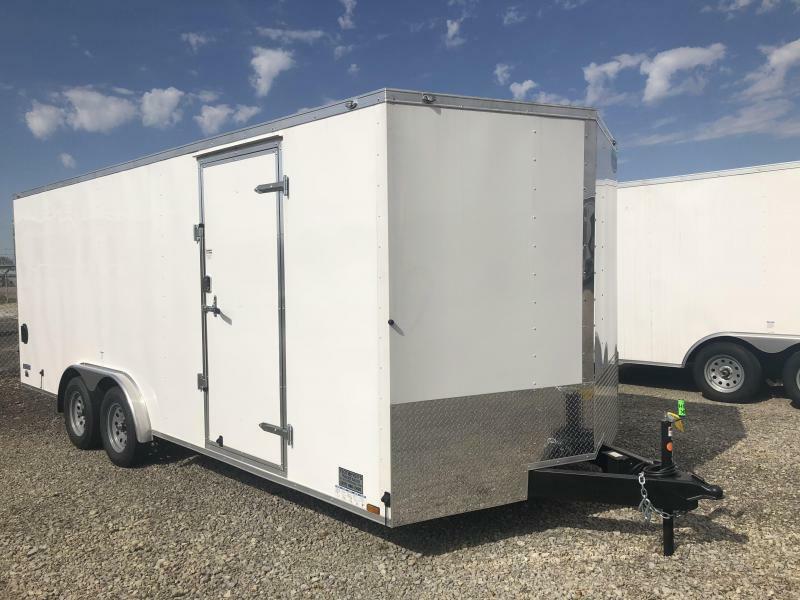 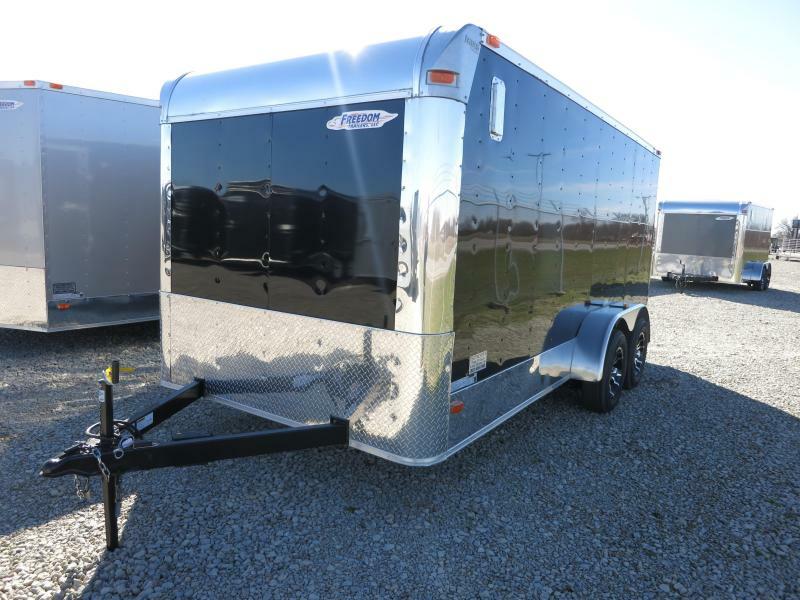 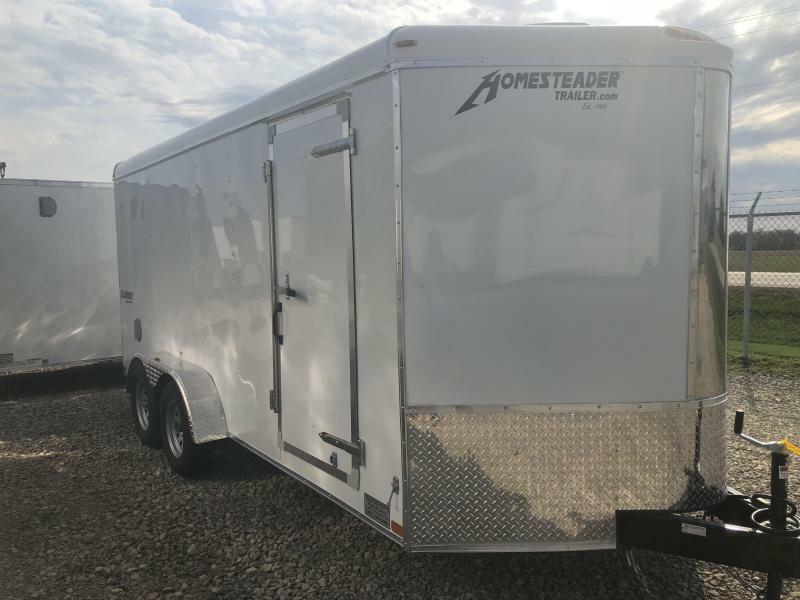 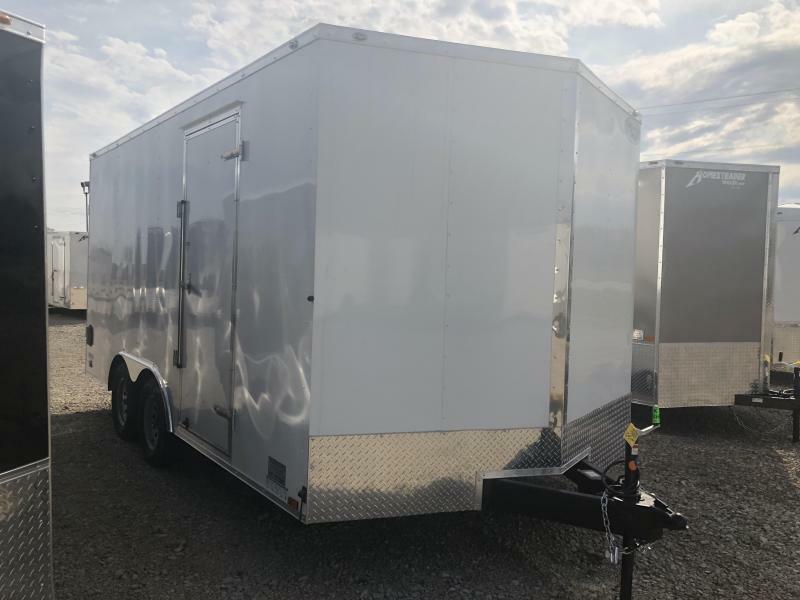 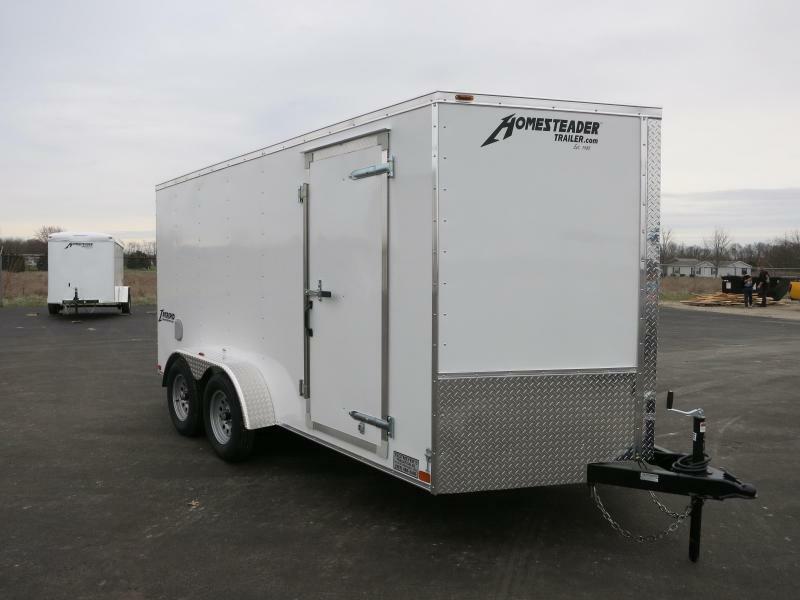 The Continental Cargo 6X10 single axle enclosed trailer is white in color with rear ramp door, (2) 12 Volt Dome Light with (1) Wall Switch at side door, LED Tail Lights, stablizer jacks at rear, and 24" Aluminum Tread Plate Stoneguard (ATP). 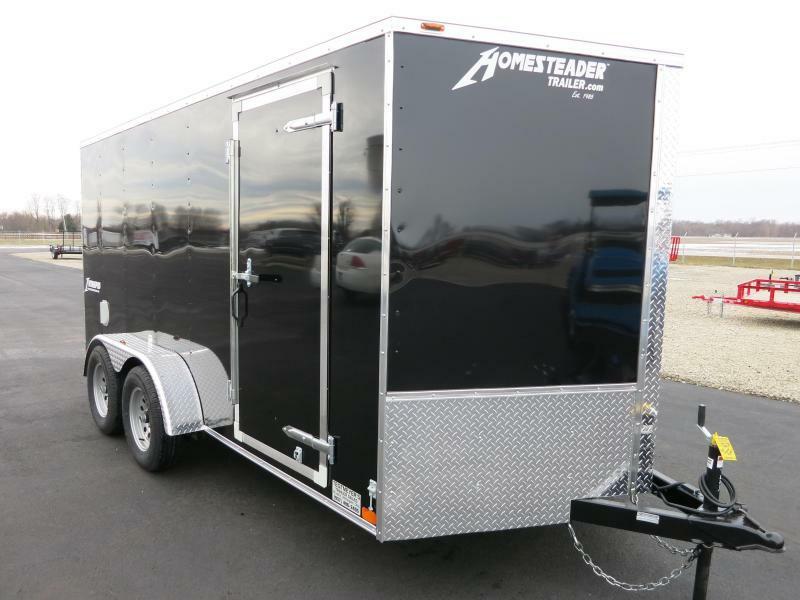 Overall Length: 13 ft. 10 in. 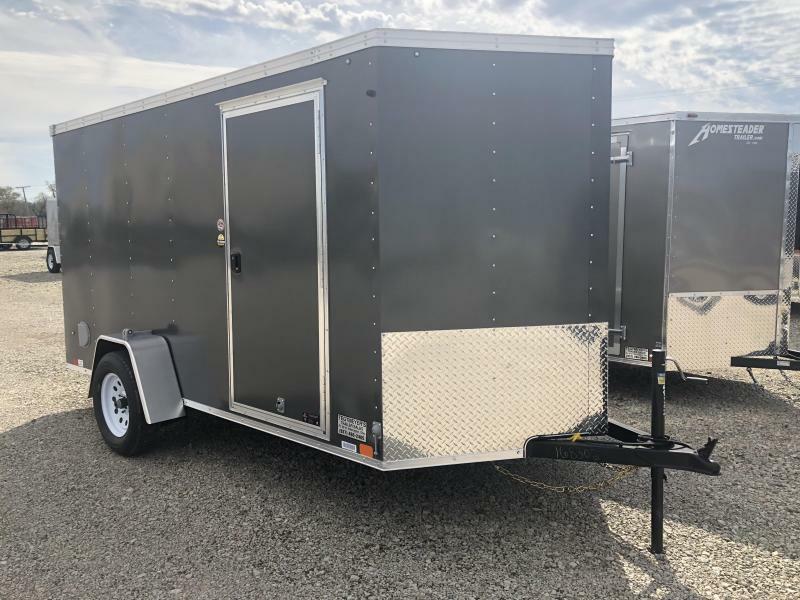 Overall Width: 7 ft. 10 in. 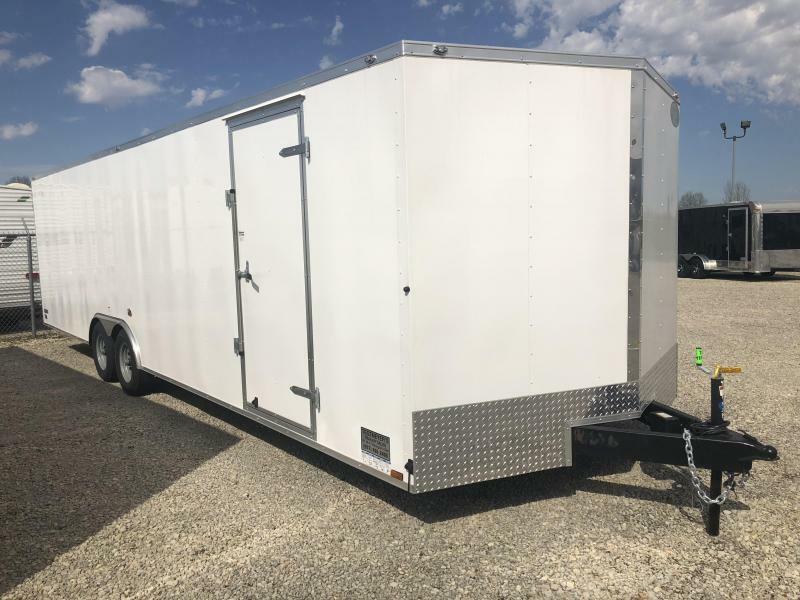 Overall Height: 7 ft. 6 in. 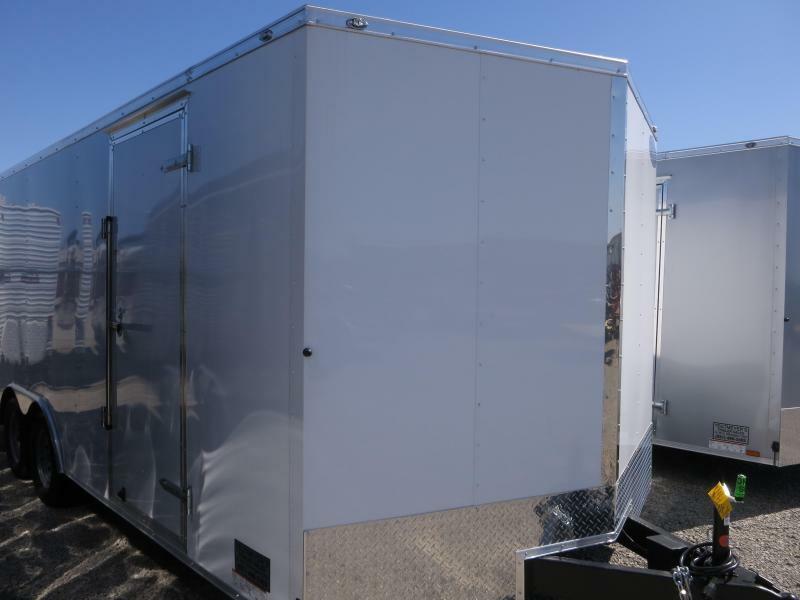 Interior Length: 11 ft. 2 in. 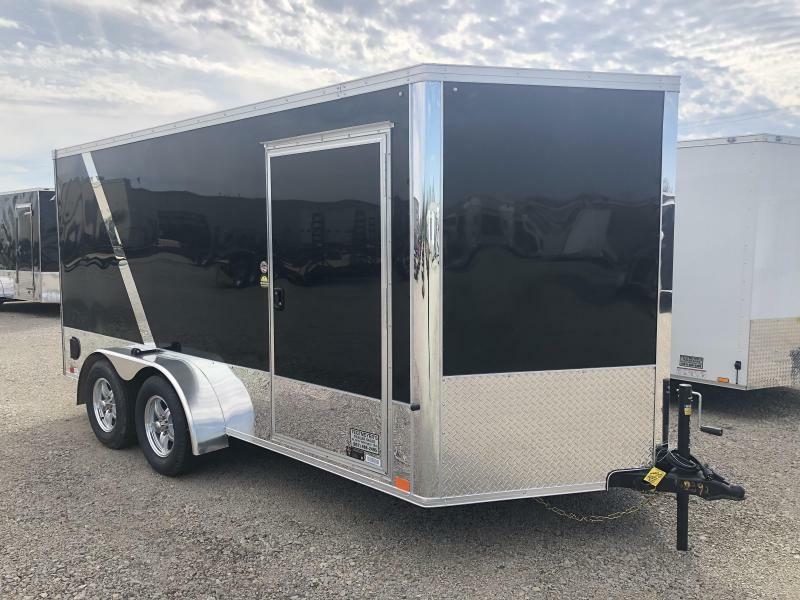 Interior Width: 5 ft. 9 in. 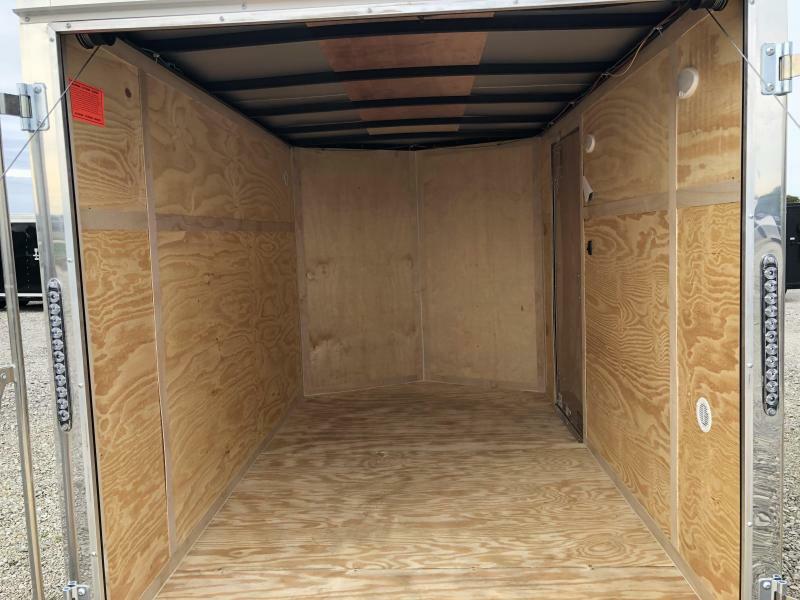 Interior Height: 5 ft. 11 in. 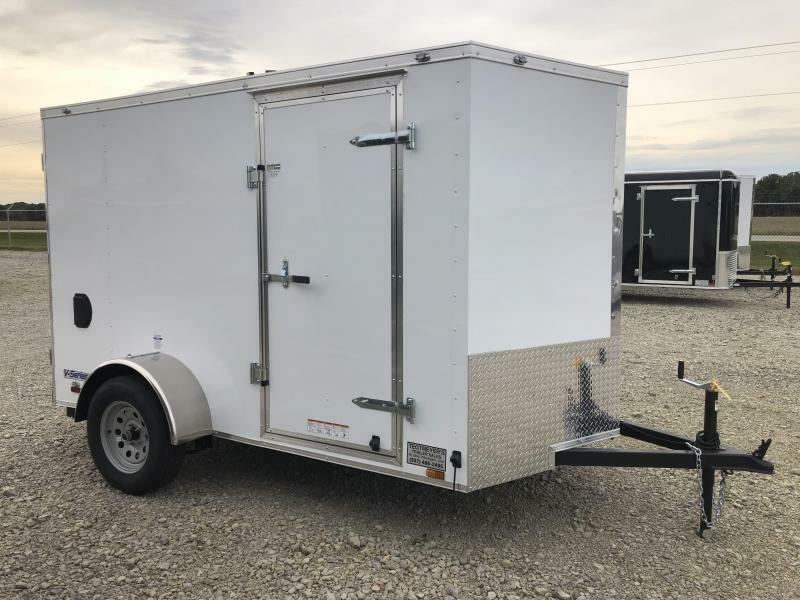 Rear Door Width: 4 ft. 11 in.